Day 2 in Paris was incredible. 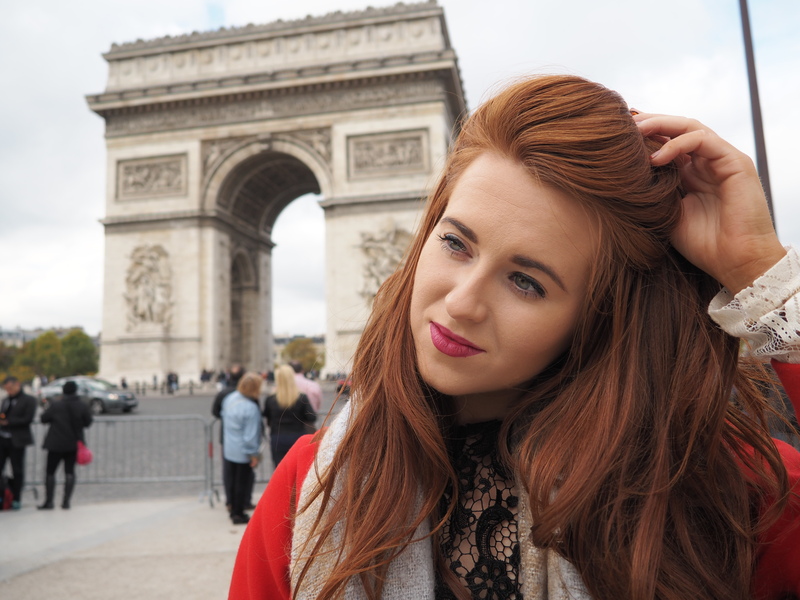 I climbed the Arc De Triomphe which I am telling you all now that you need to do! 300 steps climbed to what can only be described as the best view in Paris. 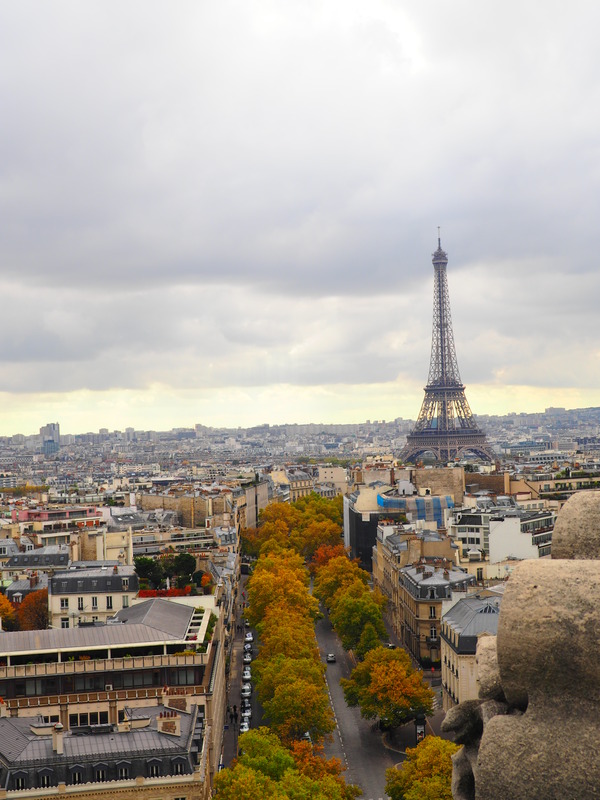 From the top of the Arc De Triomphe you have a panoramic view of the city. I love seeing a view from a height. I will climb as high as I need to go to get the best view. I could have stayed up there all day. As I said in my Top 10 Things to do in Paris post, if you are under 25 you get to climb for free, just remember ID. This was my favourite view from Paris. The photos speak for them self really. That view…. My outfit for the day is from PrettyLittleThing.com. 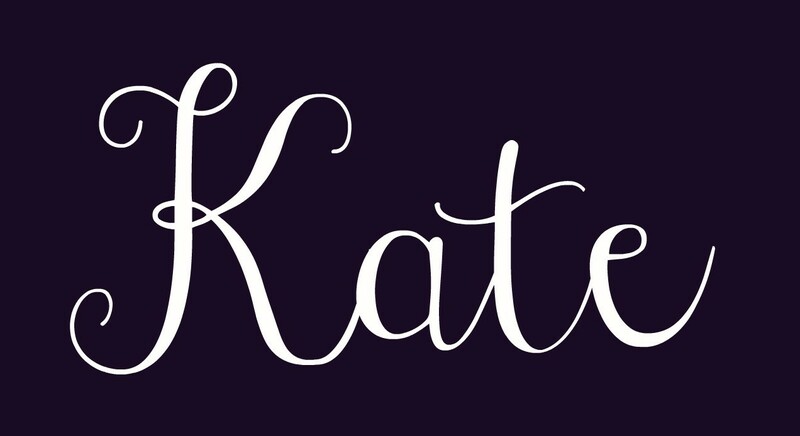 When I find a shop or brand I like I tend to stick to them and keep going back for more. PrettyLittleThing.com is my new find and I love their clothes. This lace dress is from the Lucy Mecklenburgh collection. The quality is really good for the price and you can get some really nice dresses. Wandering in the streets of Paris is so exciting. You don’t know what you will find around the corner. Each street has such character and the buildings are just so pretty. 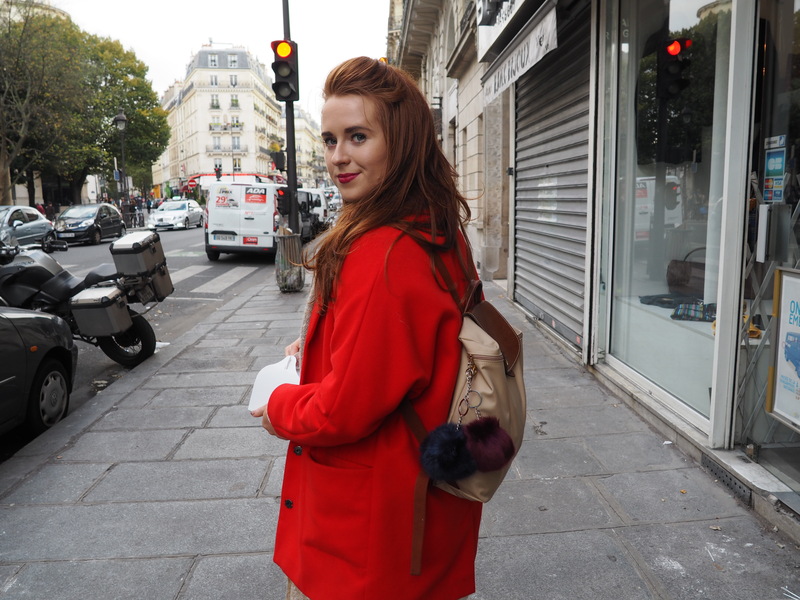 So Paris was slightly chilly for this dress so I just added layers like this red Topshop coat. I really felt like little red riding hood in this outfit. I love lace and this dress is completely my style. One thing I will be honest about is this dress is slightly see-through so be aware of this. I also didn’t wear a bra with this dress (I didn’t bring the right one with me). I would recommend if you don’t want your bra to be seen, wear a stick on bra or clear back. I hate when you can see a bra under a dress. The sizing guide for PrettyLittleThing.com is true to your size so go for what you normally size. I got these really cute mittens in Coco Boutique in Dublin. I love the pearl details on them. They finished the look and added that extra bit of warmth for when I got cold in the evening. Make sure to follow Coco Boutique on Instagram for their latest fashion finds! You can also buy their dresses online too www.cocoboutique.ie. That morning on snapchat (katekelly1) I showed what makeup I was wearing and loads of people asked in particular what lipstick I wore. I tried for the first time a Flormar lipstick in shade Aubergine-Opencall I really liked the texture of the lipstick and the colour wore very well. I rarely had to top up and even though I didn’t wear a lip liner, the lipstick didn’t bleed! Success! I never usually wear a strong lip but I really liked this Flormar shade. I think I am going to have to go and buy some more in different shades. You can buy Flormar online from SimplyFoxy.com for €6.95. I am in the middle of writing my Foodie Finds in Paris post and I cannot wait to show you all the amazing food we ate. It is a city where a ‘no-carb’ diet should not exist! Posted in FashionTagged Flormar Lipstick, Paris Fashion, Paris Street Style, Pretty Little Thing Lace Dress, PrettyLittleThing.comBookmark the permalink.